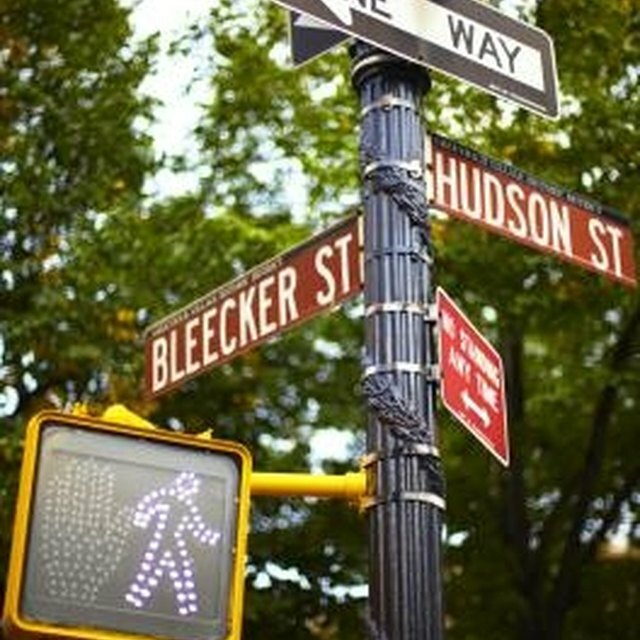 Bleecker Street is an example of a blended word. 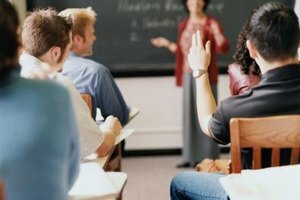 In teaching children how to pronounce words, blending can be difficult. 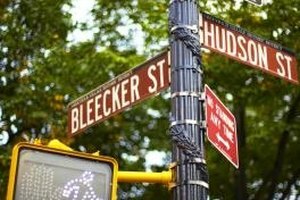 Combined letters, such as the "t" and the "h" in the word "thick," has to be taught, so the word doesn't come out "tick." Many word games and activities develop the sound blending skill for third-graders. These skills can continue to develop throughout life. Consonants are hard to blend. Educator Jennifer Gregory developed a scavenger hunt game for the first grade. This can be adapted to the third grade as well, using longer, more complicated words. Write blended words on index cards and hide them around the classroom. Tell the pupils to look for word cards that have blended sounds, such as "bottle" and "trailer." If a student finds a card whose word has no blends, he should disregard it. Educators at Time 4 Learning have developed a suggested word list for third graders (see Resources). The words include "cracker," "jellyfish" and "quicksand." Contractions are pointed out as well, such as "doesn't." 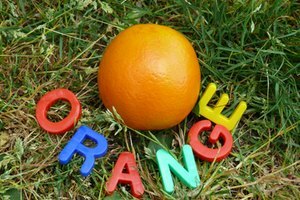 You can develop word games to make new words, such as "is not" turns into "isn't" or "grand" and "father" turning into "grandfather" Write the root words on index cards and have the pupils pair them up. For example, write "water" and "grand" on cards. Write "fall" and "mother" on other cards. Students can pair up "grandmother" and "waterfall," but not "grandwater" or "motherfall." 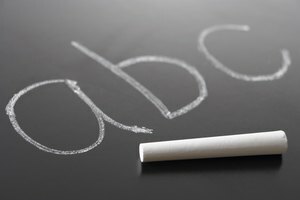 Prek-8 offers free printable phonics worksheets to educators (see Resources). These pictograms display a picture, and the pupil writes in the word. Some suggested worksheets include the long vowel sounds and the phonics vowel digraph. A vowel digraph is two vowels that blend together, such as in "receive" or "thief." When the children associate words with pictures, they develop a clear idea of blended phonetic sounds. Blends can be taught by using rhyming words, such as "speak" and "cheek" or "rice" and "mice." Children can think up rhyming words, and the class can write poems as a group project. 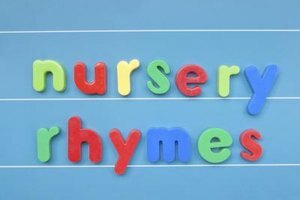 By teaching rhyming with blends, you help pupils master the correct pronunciation of words and have fun in the process. Oldhand, Tony. "3rd Grade Activities With Blends." Synonym, https://classroom.synonym.com/3rd-grade-activities-blends-7955797.html. Accessed 21 April 2019.